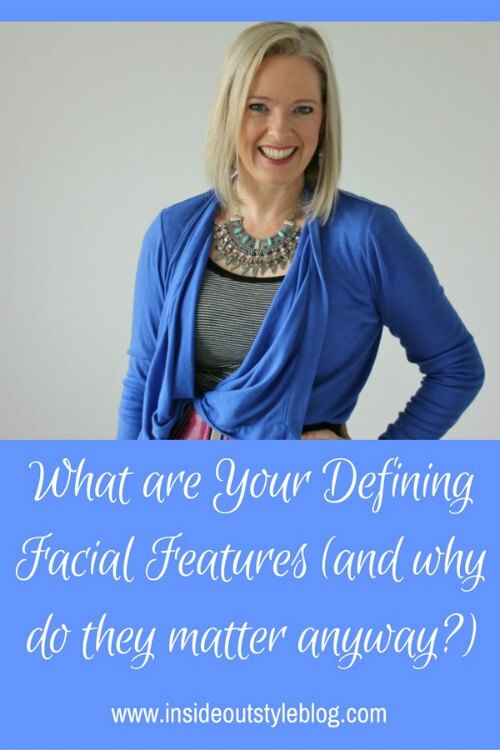 What are Your Defining Facial Features? What are your defining facial features that when replicated create the harmony that makes you look fabulous? 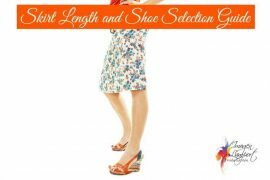 Watch this short video on how to find your defining facial features and then you will be able to choose the most flattering necklines and know which toe shape on shoes really work for you. Really interesting! It certainly holds true for me… I’ve got a very round-tipped nose, and I’ve always had this weirdly strong preference for round-toed shoes. Agree with Susan, very interesting! 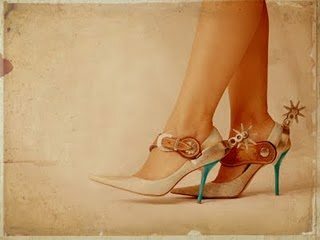 I’ve always preferred slightly rounded or almond shape shoes and thought that was because it mirrored my oval face shape. However, I have a straight and pointy nose, so perhaps I should start wearing pointy shoes instead? Sigrid – some people find that they go more with their chin/jaw, others go for the shape of their nose! You could try both and see which you like most. 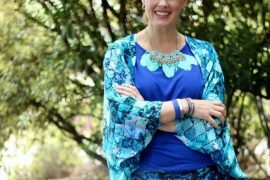 One more comment – I haven’t totally grasped it yet, but I think that if I manage to get more details about shapes, structures etc right compared to how my own face and body look, like you describe, I will get the look I’m striving to achieve, where my outfits can be very simple yet stylish and put together. This is so interesting, I also find that I am a combination and a bit of a puzzle. I have always been told that my face is oblong, so thin in fact that my glasses-frames are always from the for-teenagers section :S My hairdresser has also always advised that I have a side-swept fringe and volume in the hair next to my face. And oblong face-shape is meant to be round, yet (esp because of the jaw) I am not certain that round-shaped garments/accessories are for me. – eyes: I just don’t know. almond shaped? ie more straight? – nose: straight down the middle and more pointy when looked at sideways, but from the front the sides are rounded and it’s bulbous and disgusting and prominent and ugly and if I ever was to have plastic surgery, rhinoplasty it would be. – jaw: now! esp when I smile, I think it’s v pointy. so is it a pointy one more angular? V necklines suit me best I know that for sure, round is not as flattering. Rounded earrings also seem out of place. my biggest question would be: how to distract from my hated feature, ie my bulbous nose. when I have make-up on, I try to emphasise eyes, but still, if I could hide it somehow with garments/hairstyle I’d be so happy. any advice is so welcome, as always! Susie – No 1 – stop being so negative and hard on yourself! You’re gorgeous! You have a heart shaped face. – Your forehead is broader than your jawline and you have a pointed chin – which is why V necks suit you best. The sideswept fringe suits your more prominent forehead. your eyebrows and eyes are more angular, your nose and lips more curved – so you fall under the Combination category (part angular, part curved). You can slim down the sides of your nose with a little bronzer if it really bothers you. Oh! Everything is falling into place now. From your post on earrings, definitely the ones that you recommend for heart/diamond shapes are what I’ve always been drawn to. I always thought I had an oblong face because it is v narrow (ie has a long appearance), but now I can see that it’s (a perhaps elongated) heart! Time to revisit all your posts on face shapes with this handy new piece of information! I think I speak for a lot of us that we are so grateful as your analysis is always spot-on. I just can’t thank you enough. As you know, Trinny and Susannah are respected here in Britain, yet their analysis regarding body shape (they don’t even have an 8) and their recommendations that everyone dresses monochromatically (inappropriate for someone with more colour contrast) didn’t really help, to say the least. Thanks so-so much for your wonderful tips and posts, you truly do manage to combine art and science! PS one more thing if I may! So I can see how I have a heart-shaped face, but a quick google search on flattering hairstyles always says that heart-shaped faces are wide and short, so it needs to be lengthened. My face on the other hand is long and narrow, ie an elongated heart, it definitely doesn’t need to be lengthened! So what long/medium/short hairstyle is best for me do you think? I also don’t think I have prominent cheek-bones (I don’t, do I? ), unlike most heart-shaped faces. Regarding make-up contouring and highlighting, again most advice is directed at how you want to make your face appear longer/more oval. Some even say highlight chin. That seems v counterproductive, why would you want to highlight a pointy feature that actually makes your face less oval? Very useful video, thank you! I am also a combination, which makes sense with my preferences: not too round, not too angular. My other go-to neckline is a v-neck over a tank-top, which makes sort of a trapeze shape. (e.g. 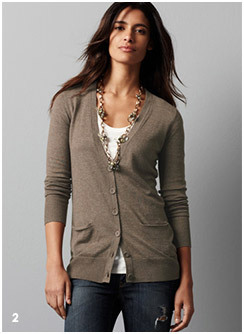 http://youlookfab.com/files/2010/09/V-Neck-Cardigan-Brown.jpg ; doesn’t have to be a cardigan though). That’s interesting. I seem to be curved all over. Round face, round eyes, curved nose, pretty full lips, arched eyebrows, and an hourglass body shape. Everything curved. I do think I generally like curved lines too. Funny how that works out. Clare – interesting that you’re curved everywhere! Definitely avoid the sharp shapes! I’m not sure my style choices, from neckline to toe, always mirror my features, which are all curved and prominent. Everything’s dwarfed by my big (I like to think it’s “bold”) nose and enormous forehead. The curves end there, of course! I try to dress to fit my features, avoiding things like ditsy prints, small dangling earrings, and other styles I associate with girls with smaller and more angular features. Now I’m wondering if the deep V-necklines I’ve always favored are making my long face appear even longer. It’s a detail I would not have noticed had it not been for this article and video! Thank you! You have a gorgeous face and as you have larger scale facial features then you can wear larger scale jewellery – earrings/necklace easily. Your face is more oval, so I’d suggest scoop necklines rather than sharp V necklines, or a soft wide V rather than a narrow one. I would love to see a blog post about this subject in more detail! for example you could show us a face with curvy features and one with straight/angular features and one that is combination of both, and then pick out which shapes in jewellery, prints and accessories are best for those features. I would be very interested to see some concrete examples! Sophie – thanks for the feedback – I’ll get to it sometime soon! I meant on “this” topic not “tear” and also when it says “air” I meant “a mixture”. Please excuse the typos. Do you have blog suggestions for those of us whose chin-to-neck line are dropping as we age, (and those of us who always have had double chins) about how that factor may affect our face shape, earring choices, and glasses frame choices?